Madrid, December 1st – Cement Design, Leader Company in the manufacture, distribution and installation of continuous decorative coatings in eco cement is the chosen Brand by the Brazilian fashion boutique Bossa Concept for its new store located in Miami Beach (1201 20th Street, Miami Beach, FL), that has just opens its doors. Both floors and walls and most of furnitures are coated with Cement Design materials from Eco Cement Collection, characterized by an elegant cementitious water shapes texture. Cement Design achieve a warm and elegant ambience in Bossa Concept thanks to its eco cement coatings without joints combined in different store areas. The project has also the participation of several companies between them the construction firm Jedi Construction, No Borders furniture firm and Cement Design Miami, represented by the María P. Rojas technician. The private opening event, celebrated last November 17th, was attended by famous faces in the fashion industry, like the bloggers Martha Graeff, Jenny López and Michelle Chwoschtschinsky. 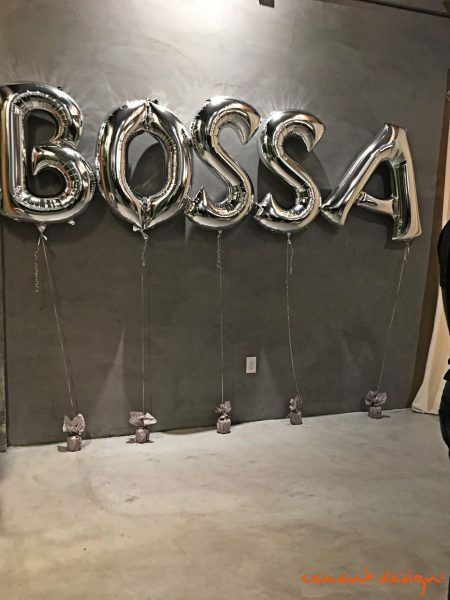 Bossa Concept is a multi-brand boutique that groups an exclusive Brazilian´s brands such as Reinaldo Laurenco, Helo Rochea, Cecilia Prado, Sissa, Isolda and NK. Created by the designers Alessandra Cavalcante and Flavia Schwenk, Bossa Concept leads collections characterized by its artisan profile and a purely Brazilian character. Cement Design is a leader brand in continuous high-end decorative coatings based in eco cement. With presence in more than 40 countries, it has a wide delegations network, responding to projects with different scopes around the world. The brand, supported by certifications like CE marked, Emicode and Applus, is synonymous of functionality at service of innovation and design.